Finding the right app developer is a lot like finding love. While you may not be planning on dating your developer any time soon, the entrepreneur-developer relationship is all about the same three C’s – chemistry, communication, and commitment. You need to be on the same wavelength. You need to have the same vision. And you need to know that, should anything go wrong, your developer has your back. To help you find the right developer and avoid any disasters, below are five key things to look for to find “the one” who can build the app of your dreams. 1. Their online presence – While you can’t judge a book by its cover, a developer’s website, social media accounts and other online presence can give you a sense of who you will be dealing with. This will allow you to “get to know” the developer and get an idea of whether or not you’ll get along. 2. Their work history – How long have they been developing apps? Are they up-to-date with current app trends and the app industry? Do they have a solid portfolio or can they link to apps they made currently on the app store? You can typically find this information on their websites, but you may also want to check references to see if they’re easy to work with and whether or not they’re dependable – anyone can promise you the best app in the world, but with tens to hundreds of thousands of dollars at stake, none of that matters unless they can actually deliver. Tip: Hiring a development lab or firm? Google the people you’ll actually be working with, not just the company. You will likely come across their LinkedIn profiles, their educational and career backgrounds, related organizations they belong to, and other projects they’ve been involved in. Check to see if they have a public GitHub profile and which projects they’ve contributed source code to. Take a look at Stack Overflow (a popular online forum for programmers to ask and answer question) to see if they are an active participant in online developer communities. 3. 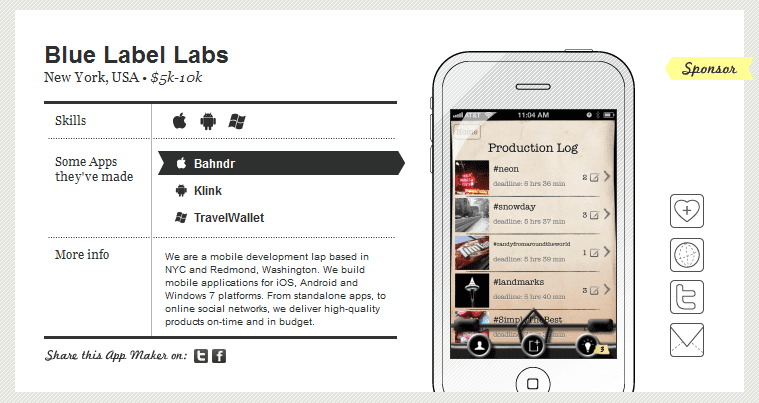 Their niche – What kind of apps do they develop? Are those apps in the same category or niche as your app? If not, do they have the resources and know-how to create your kind of app – and are you willing to risk it? For example, are you willing to entrust a gaming app to a developer who has only built enterprise apps in the past? If not, stick to developers who are experienced in the type of app you want to build. Tip: Don’t forget to ask which platform(s) the developer specializes in – some developers only build apps for the iPhone and/or Android, so double check to see if they can build your app for platforms you want to release it in. 4. 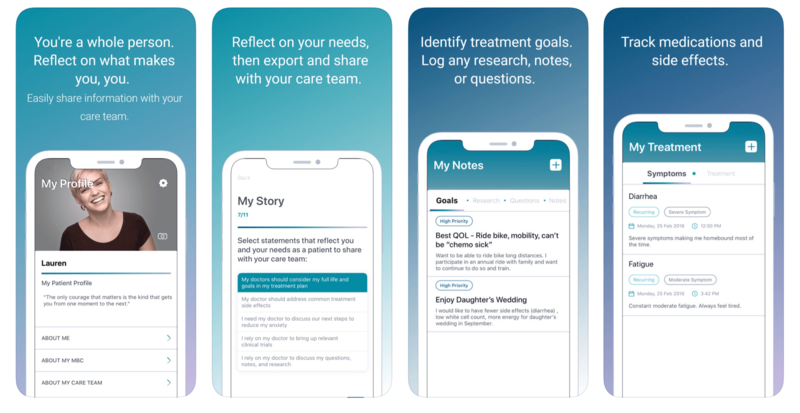 Their services – Do you just need an app coded, or do you need an entire team to design, develop, and market the app? Will you be managing the project or do you just want to hand over your idea and wait for the finished product? Not all developers have the same app solutions, so don’t waste your time corresponding with potential app developers who can’t meet your needs. 5. Their fees – How much do they charge per hour? What is the average cost for your kind of project? Do their fees include testing, revisions, and other aspects of development? Remember – developers typically charge by the hour , so the larger the project, the longer it will take to complete it and the more expensive it will become. Developer fees also depend on the kind of developer that you hire: large app development firms can charge as much as three times as small development labs and freelance developers, so be sure to shop around to see who has the best financial terms that will work for you. What do you look for when searching for an app developer? Please share your tips below! Want to learn more about finding the right app developer to build your app? 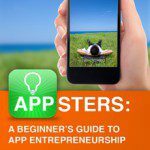 Check out Appsters: A Beginner’s Guide to App Entrepreneurship .